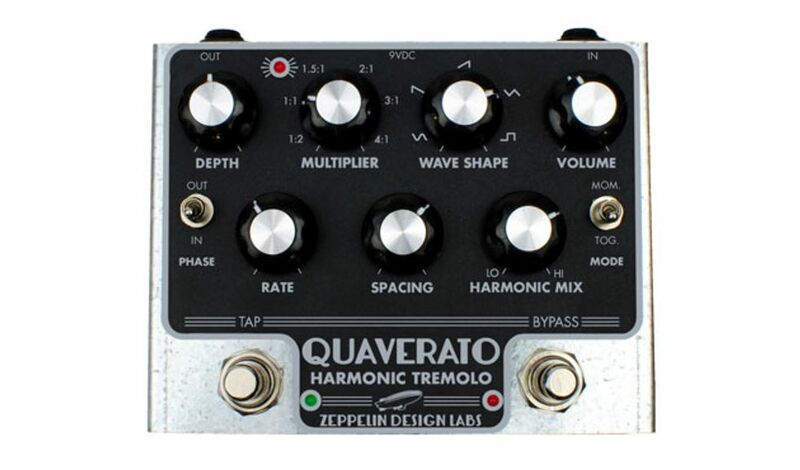 Chicago, IL (August 13, 2018) -- Zeppelin Design Labs of Chicago has released the Quaverato Harmonic Tremolo guitar pedal. The Quaverato combines many features to make a great sounding, versatile, and practical tremolo pedal at an attractive price. Available ready-to-use or as a DIY kit. The Quaverato open-source control code was developed in the Arduino environment. Users can modify the code and flash it to the Quaverato for customized performance. The Quaverato is available from Reverb, Etsy, Amazon or direct from Zeppelin Design Labs. Zeppelin Design Labs in Chicago is the maker of the Percolator 2W Tube Amp, Macchiato Mini Synth, Altura MIDI Theremin, and other musical devices. All products are available as DIY kits or ready-to-play.